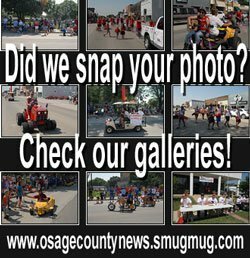 The following information was compiled from records at the Osage County Courthouse June 20 through June 24, 2016. Kenneth G. Kirsop and Colleen A. Kirsop to Dustin J. Wise and Katherine E. Wise. Blocks 5, 6, 21-26 and part of Blocks 7 and 20 and Tract 36-16-15. Diane S. Michael, Marvin W. Michael Jr. and Mica Lindbloom to William D. Neary III. S 85’ W 75’ NW ¼ Blk 7, Dodd’s and Martin’s Addition, Osage City. Yousong Wang and Xiaoyi Wang to Robert M. Abel. Tracts SE ¼ 15-16-14. Osage County Sheriff to U.S. Bank Trust. 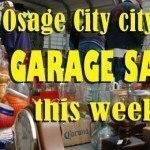 Even Lots 26-30, Block 32, Original Osage City. Mary G. Averill to Richard Clyde Thompson. Lot 24 and E ½ Lot 25, South Shore. Osage County Sheriff to U.S. Bank. Lot 6, Blk D, Tucker Subdivision “E”, Carbondale. 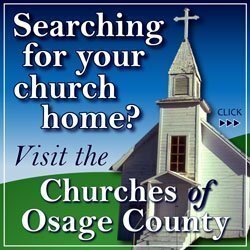 Osage County Sheriff to BAC Home Loans. Lots 2 and 4, Fourth Street, Quenemo. Thomas L. Moon and Sharon A. Moon to James Creviston and Adrianne Creviston. Lots 2 and 3, Block 32, Original Burlingame. Jennifer M. Hermreck to Jeffrey D. Grittman and Vania R. Stewart. Tract NE ¼ 20-14-17. Osage County Sheriff to BOKF. Lot 9, Williamson’s Addition, Osage City. Osage County Sheriff to FHLM. Lot 116, Holiday Cove. Osage County Sheriff to FNMA. Lot 2, Block 5, Urich’s Addition, Carbondale. Rex E. Arb Trust to Bradley W. Rose and Marilyn L. Rose. Tract SE ¼ 7-17-17. Donald E. Dickerhoof to Harrison LLC. Lots 12, 13, B and S 8’ Lot 14, Block 34, Lyndon. Brandon E. Keazer and Lindsay A. Keazer to Dustin R. Streeter. Lot 56, Pomona Heights. Lyndon State Bank to Michael E. Zabel. W 105.31’ S 100’ Lot 3, Block 1, Rosenberg’s Addition, Osage City.